"I did not have three thousand pairs of shoes, I had one thousand and sixty." "They went into my closets looking for skeletons, but thank God, all they found were shoes, beautiful shoes." "I hate ugliness. You know I'm allergic to ugliness." "I was no Marie Antoinette. I was not born to nobility, but I had a human right to nobility." The Marcos Regime is primarily known for its brutality and corruption. However, Imelda Marcos is known notoriously for her love of material things and most infamously shoes. The video below focuses mainly on Imelda's love for shoes and contains some historical content. The paragraphs below come mostly from the video. If you don't have access to this video, everything and more is covered in the paragraphs below. I advise you watch the video as well as read the paragraphs below. "You see, the most important time of my life there was no shoes." An excerpt of Imelda telling about the first time she met Ferdinand Marcos, her husband. Before Imelda was married to Ferdinand Marcos she had neither a closet nor shoes in the hard times of World War II. Imelda didn't really have an obsession with shoes, but once she was first Lady she had the money and the time that was needed. She bought normal shoeslike anyone else. They were inexpensive and regular women's shoes, nothing really extravagant or fancy. However, she bought them in large quantities and that's what made her famous. In the Marcos Regime, many Filipinos were going barefoot, but not Imelda Marcos, that's for sure. When the "People Power" rebels overran the Presidential Palace they were disgusted at what their country's money was paying for. They found over 1,200 pairs of shoes in Imelda's closet alone. When Imelda and Ferdinand were forced to flee the presidential palace, Imelda grabbed her most comfortable pair of shoes for their long journey to exile. She grabbed a pair of Espadrilles from Nordstrom (and only cost a few dollars at the time she bought them). When Imelda and Ferdinand settled in Hawaii, Imelda bought a lot of stuff, since there wasn't really any time to take any of her belongings with her when the rebels took over. It was thought that she would boost economy while she was exiled there but that was not the case. click here to read more on a previous page (Exiled to Paradise). While Ferdinand and Imelda lived in exile, the new popularly elected president of the Philippines Cory Aquinas put all of Imelda's shoes and cloths on exhibit to showcase the past presidential family's flamboyant and extravagant spending. Over time, the shoes became an example of glamour, not corruption. 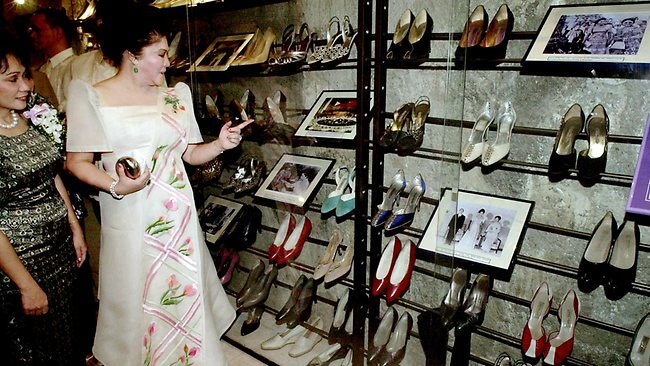 The exhibit was closed in 1992 after backfiring and in 1999, the Shoe Museum in Marikina City acquired about 1/6 of Imelda's original collection of shoes (about 200 pairs). Many of the shoes simply disappeared and were unfortunately never found again. 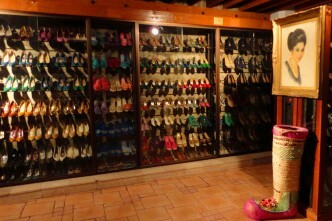 The Marikina Shoe Museum houses around 200 of Imelda's shoes with several other sections of shoes from famous celebrities, presidents, politicians, and musicians. 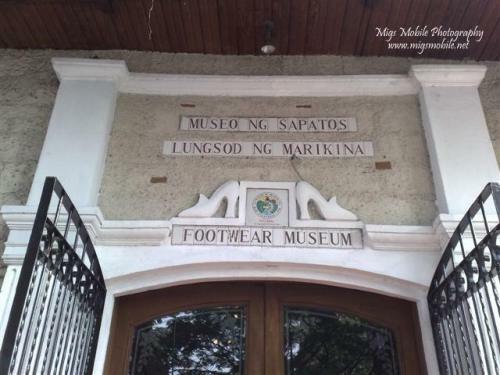 With the capital of the Filipino shoe industry situated in Marikina, it was the best location for the museum. Since Imelda's original shoe collection has been divided up, lost, and damaged with mold and flooding, the shoe museum in Marikina takes pride in their collection and has a whole division of shoes and a shrine like set up in Imelda's honor. They also repair any of the damaged shoes ad preserve them for as long as they can since they are very old. In old and deteriorating conditions, the shoes still symbolize what once was of the lavish, glamorous Marcos regime. What else did Imelda buy? The harsh rule of Ferdinand Marcos and the Marcos regime led to much of the poverty in the Philippines and suffering. Yet, Imelda and the presidential family hardly suffered. They lived a lavish, ostentatious, glamorous, royal lifestyle at the expense of their people. 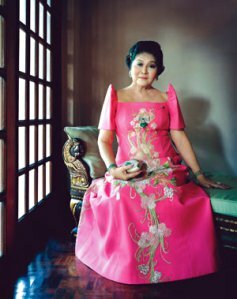 Draining most of the funds from the Philippine government, Imelda Marcos purchased extravagantly. 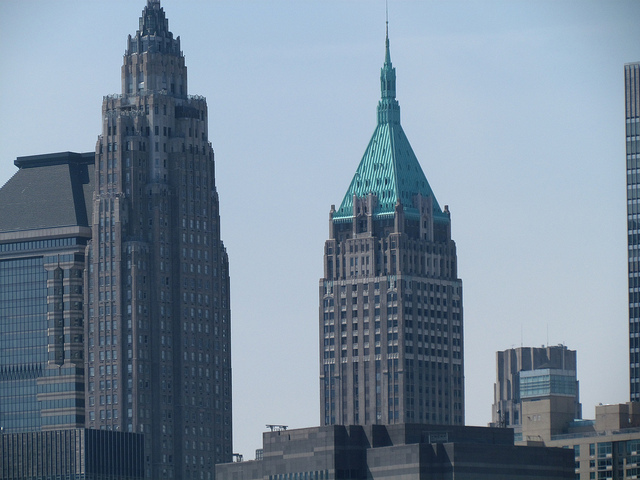 Imelda traveled to New York and other destinations to buy fashions, high-end jewelry and other luxury items. She visited all of the major palaces and cities of mankind and purchased items left and right. 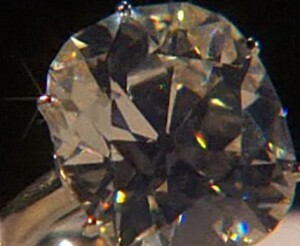 Imelda bought the world's biggest diamond in 1983. She bought a Michelangelo piece for three and a half million dollars. In addition, she bought a 26 story skyscraper in Manhattan.